Sen. Elizabeth Warren’s (D-MA) female staffers made more than $20,000 less than their male counterparts last year, according to a new report. 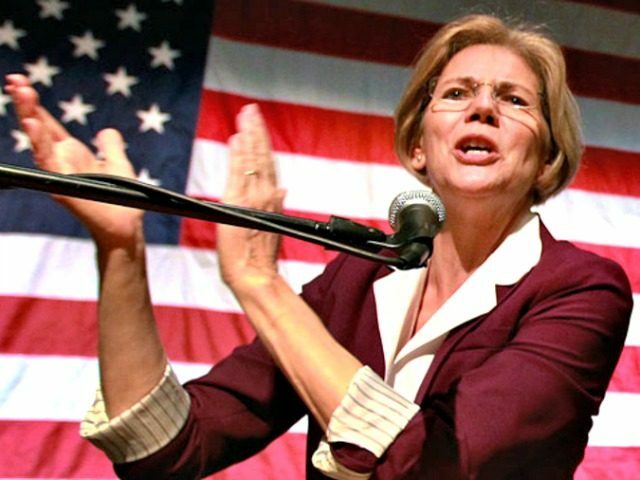 The median annual salary for male staffers in Warren’s office amounted to $73,750 in 2016, while female staffers brought in a median of $52,750 in 2016 — a pay gap amounting to more than $20,000, the Washington Free Beacon reported. Female staff in Warren’s office make 71 cents for every dollar that their male counterparts make. The top five highest paid staffers in Warren’s office were all men who earned between $113,750 and $156,000, while only one woman earned a salary of more than $100,000 in 2016. Warren frequently champions equal pay for women on both her personal and Senate Twitter accounts. “I cannot believe I have to give another speech fighting for equal pay for equal work for women,” she wrote in one of her tweets from her Senate account. Warren is not the only politician who touts equal pay and then pays women less than men. Former Democratic presidential candidate Hillary Clinton paid women about $15,000 less than men as a senator, then paid women $16,000 less than men as secretary of state, and paid women $7,000 less as a presidential candidate. Campaign staffers noted her campaign’s tendency to pay men more than women and saw it as a vulnerability in the election. Women working at the Obama White House also regularly earned less than men.